Last in our North Star trio was a whisky from its 2nd series simply named “Islay”. We sampled it blind and were floored by the reveal with an introduction to a new independent bottler who certainly seems to be bringing quality and value to his selections. Finish – Sweet, slightly briney and ends with something we couldn’t quite name… after going on and on and on…..
As the last of our trio, we joked that perhaps the theme of the evening was spice, sweet and slow things down as each whisky took its time to fully reveal its character. Our talk turned to speculate the origins of this dram. For all it was sufficiently distinctively Islay to fall in that camp. But which one? We veered towards Caol Ila which, though not actually stated by the bottler, may very well be the case. The extra fruitiness that emerged behind the peat made sense once I learned the whisky was finished in a pair of ex-sherry octave casks. And what about the official tasting notes? Interestingly our findings were most aligned with the official tasting notes with water. And certainly we would highly recommend adding some generous drops to bring out the best in this whisky. What were we fortunate to sample in our introductory North Star Trilogy? 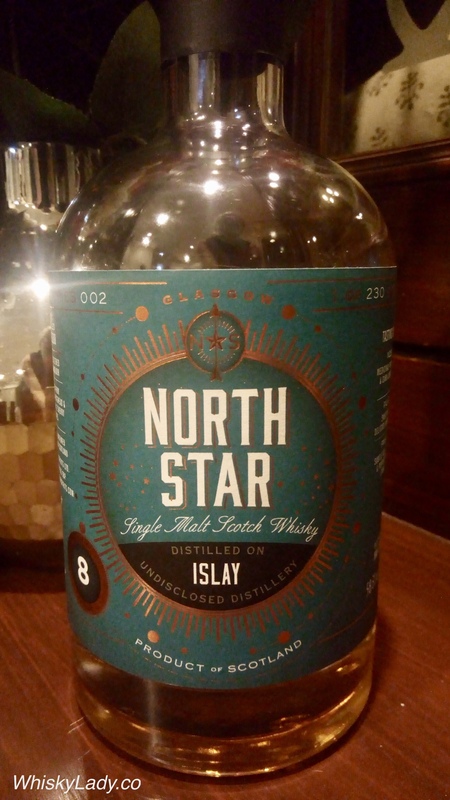 North Star’s Cask Series 002 – Islay 8 year (June 2008 / May 2017) 58.3% 1 of 230 bottles – this one! Before it sold out, you could find it through Master of Malt for approximately £75. This entry was posted in Cask Strength, Islay, Scotland and tagged Caol Ila, Cask Strength, Independent Bottler, North Star, North Star Islay 8 year by Carissa Hickling. Bookmark the permalink.